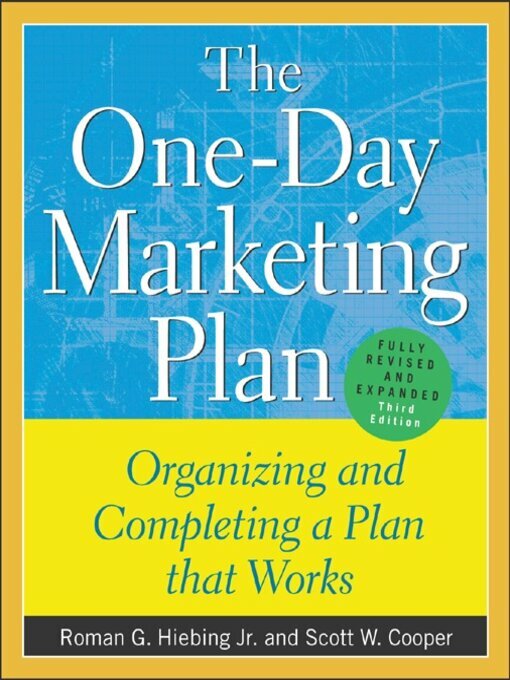 The One-Day Marketing Plan shows entrepreneurs and business owners how to quickly design a marketing plan for any business. Hiebing and Coopers streamlined, 10-step process guides readers through the development and execution of effective marketing plans, and provides the tools to accurately evaluate bottom-line results. Packed with helpful checklists and templates, this practical, comprehensive third edition includes up-to-the-minute information on brand positioning and Internet marketing tactics.